Every year about this time we start to get questions regarding holiday music. Planning Christmas programs can be stressful, and knowing which Christmas songs are copyrighted and which are public domain can complicate matters. Public domain songs are those you can use without the need to obtain permissions, pay royalties, or credit the original author. However, this does not apply to copyrighted arrangements of a song in the public domain. Songs that are copyrighted will require permission, licensing, or exemptions. So how do you know the difference? Aren’t most Christmas songs in the public domain? 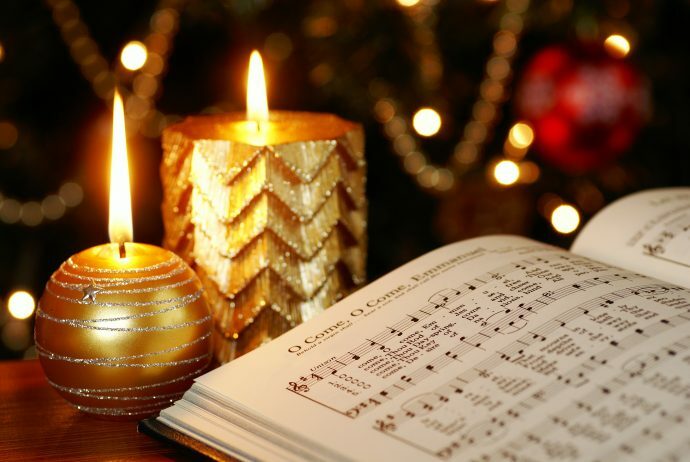 The answer – while there are those you can use freely; many Christmas songs, carols, and hymns are copyrighted and owned by secular music publishers. The commonly held misconception that all Christmas songs, carols, and hymns are available for use without permission could prove costly for churches. How do you think you did? Angels We Have Heard on High, Away in a Manger, Deck the Halls, Hark the Herald Angels Sing, Jingle Bells, O Come O Come Emmanuel, Silent Night, and God Rest Ye Merry Gentlemen are all in the public domain – meaning you are free to use without obtaining permission. However, if you plan in performing, playing or streaming Frosty the Snowman, Feliz Navidad, Do You Hear What I Hear?, Santa Claus is Coming to Town, First Noel, Little Drummer Boy, or Carol of the Bells you definitely want to look into music licensing. We’ve got two great resources to help you navigate these songs. For a complete listing, download our two fact sheets, Copyrighted Christmas Songs, and Public Domain Christmas Songs, from our online Learning Center. If you have any questions please call us at 877-394-5566 or chat with a live copyright expert online.